Made from carefully selected grapes, harvested by hand in strict adherence to the traditional method, this elegant and fruity Crémant consists of a blend of Pinot Blanc for freshness and a small proportion of Pinot Gris for volume on the palate. 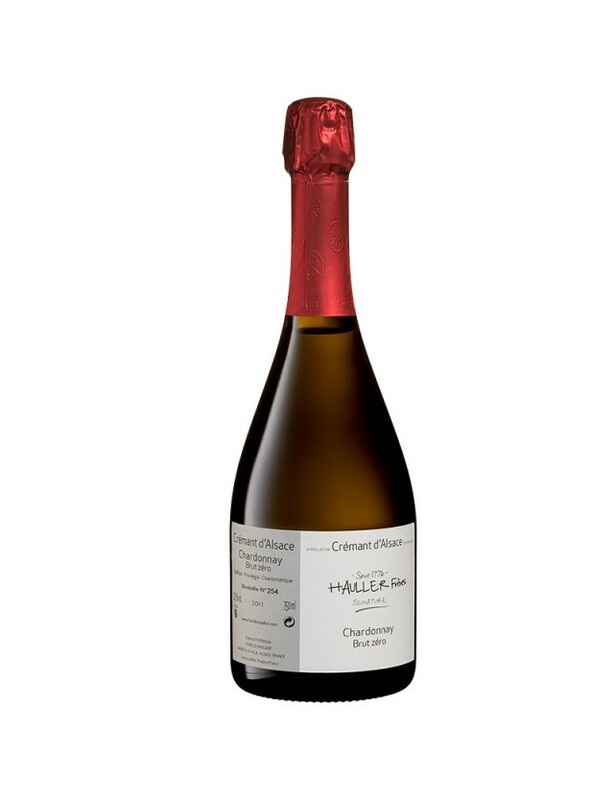 In the glass, it develops a wonderful effervescence and its light bubble calls for a friendly atmosphere. The nose is typical, with aromas of white flowers and macerated raspberries. The lively and precise palate will satisfy even the most demanding taster. Food and wine pairing : Aperitifs, savoury amuses bouches, roasted veal with mushrooms, fruit tart. Idéal a l'apéritif accompagné d'amuse-bouches salés. Il réosera le goût des poissons crus à chair grosse, comme un Tartare d’Omble Chevalier avec de l’Aneth et une crème Raifort, ou un Gravlax de truite d’Alsace. For eight generations, the Hauller family's expertise has been handed down from generation to generation, in order to continue the production of the greatest wines in Alsace. In a constant search for excellence, each year, Ludovic and Guillaume Hauller ensure that they select their best wines to continue their legacy.